I can't believe it has been almost a year since I read the fabulous Natalie's Getting Married, so when Rosa Temple asked me if I would like to read her new book she got a massive YES PLEASE! 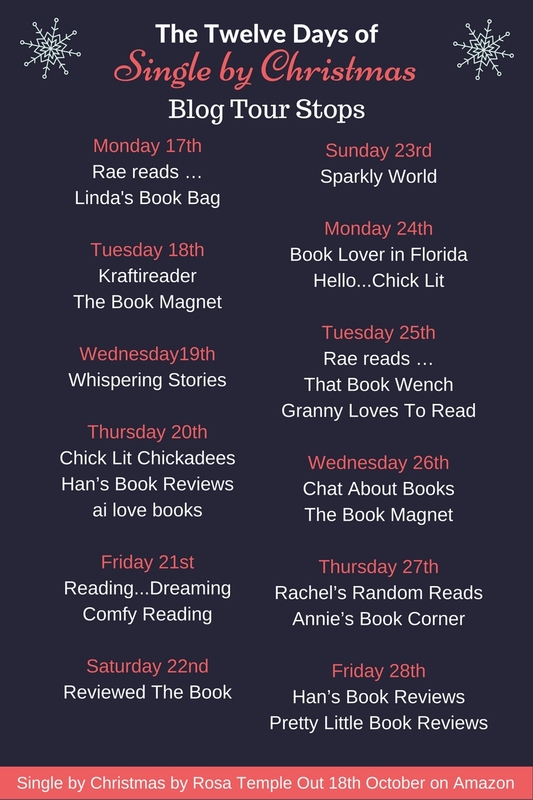 This is a double whammy of a blog tour as you get to read my review today and then on 26th October you can read an excerpt from the book. There's also a giveaway running throughout the tour where you can win 1 of 5 ebook copies - Good Luck! I first came across Rosa Temple earlier this year when I read and reviewed Natalie's Getting Married, which I described as 'a surprising little gem of a book'. I absolutely adore Rosa's writing; when reading her books it feels like you are being welcomed by life-long friends. It's not often that I get hooked on a book outside the crime/thriller genre but the drama of Alex's life certainly had my eyes glued to the page. Alex Marshall seems to have it all: a handsome boyfriend who thinks the world of her, a couple of very close friends and a career heading in an upward direction. Alex really doesn't realise how lucky she is and she is so dizzy at times that she can't see how her actions are affecting other people. She is trying to juggle her boyfriend, her friends and her job and it's only a matter of time before she drops a ball or two. Alex takes her boyfriend, Charlie, for granted and he always seems to get bumped by Alex's friends or her job. Charlie has a busy and important job too but he has his priorities in the right order and makes time for Alex and his family. They just seem to be a bit out of sync and like ships passing in the night, so if Alex isn't careful she will lose Charlie. I could have shook Alex at times and if I hadn't liked her so much I would have said she was selfish. She gets offered a job in Edinburgh and just assumes that Charlie will support her and move with her, but she has no idea what is going on in Charlie's personal and professional life. Edinburgh is another story. When Alex goes up to look at the Edinburgh office she goes out with some of her potential new workmates. After a few drinks too many, she wakes up the next morning with one of her colleagues. So she hot-foots it back to London but, as we all know, secrets have a way of coming out however deep you bury them. As Christmas approaches, will time be called on Alex and Charlie's relationship or will they be kissing under the mistletoe? 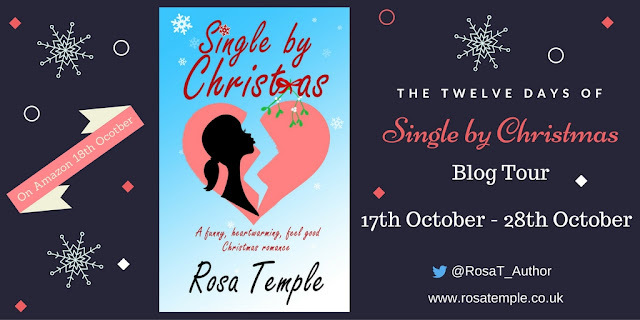 Single by Christmas is another fabulous book from Rosa Temple. I thought I was going to dislike Alex intensely due to her apparent selfishness but she really means no harm; she just can't say no to people (friends, family, Scottish men). 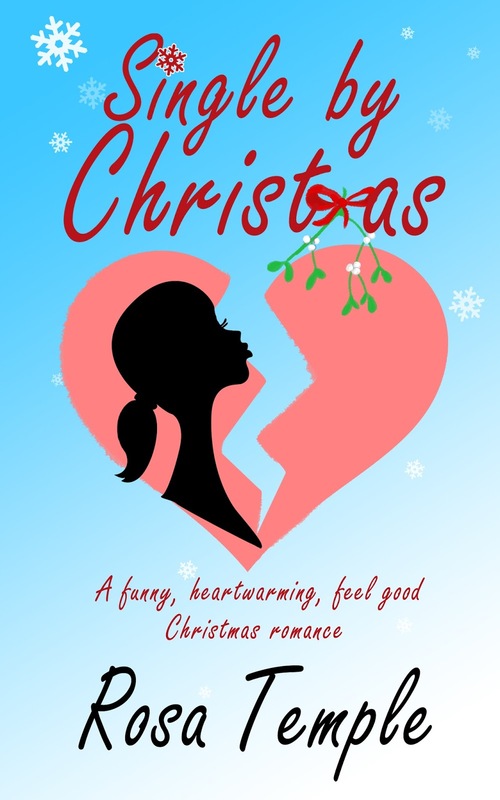 Written in Rosa's inimitable funny, warm and modern style, Single by Christmas is full of misunderstandings, secrets, drama and disaster - a bit like most office Christmas parties. 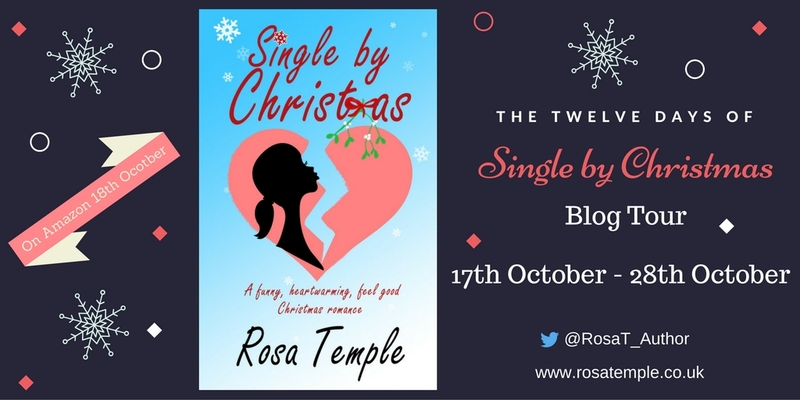 So curl up on your favourite chair with a hot chocolate and read Single by Christmas, you won't be disappointed. Many thanks to Rosa Temple for providing an e-book in exchange for an honest review. 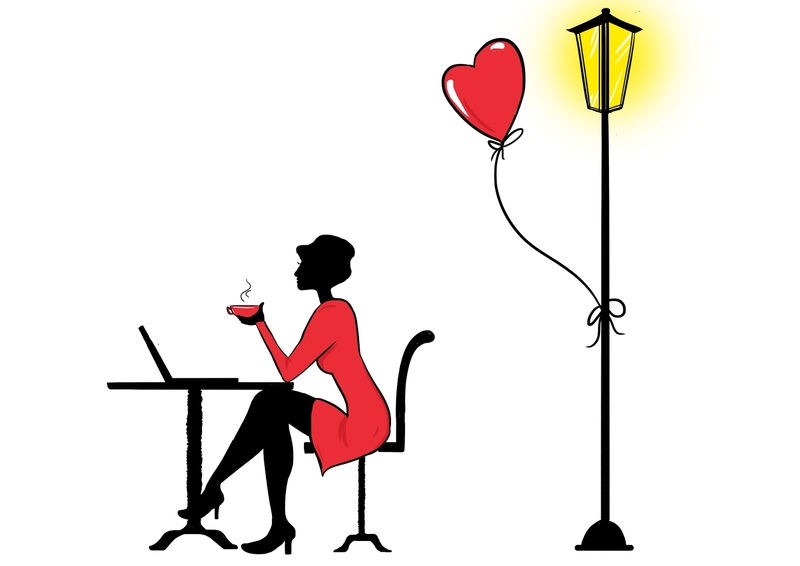 Rosa Temple is a writer of romantic comedies, chick-lit and contemporary romance. To date she has published one novella, Sleeping with Your Best Friend, and her first full length novel, Natalie’s Getting Married, was published on 14th March 2016. She has tried her hand at various occupations, from tea lady (albeit for one morning only after being returned to the agency because half an office block suffered caffeine deprivation) to supervising the office running the London Bar Exams. Rosa is a Londoner born and bred and still resides in West London with ambitions to escape to the country when a suitable country pile becomes available. In 2014 she was awarded a Distinction in her Creative Writing MA from Brunel University. Rosa admits to being a reluctant keep fit addict. She owns a yoga mat, a pair of trainers and a spin cycle that gathers dust in the corner of her writing room. She vows that she will run the London Marathon again but has been saying this since her first and only marathon, run in 2010. Hence the trainers. Having been a ghostwriter for several years, Rosa has written several magazine articles and has penned a multitude of one off novellas and novella length series in the romance genre and in its various sub-genres to include: contemporary romance, historical, adult only, romantic comedies and sweet romances. Rosa is a member of a writing critique group who meet monthly. This lively and hard working group keep her on her toes as she hones her writing, listening and editing skills. Rosa’s husband and eldest son are both musicians, her second son swims at a National level for his London team. Before devoting the majority of her time to her writing of romantic comedies and chick-lit, Rosa was a singer (that’s how she met her husband) and still continues to perform and write songs. 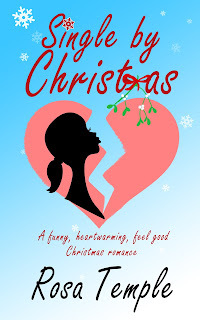 Early reviews show that Natalie’s Getting Married is a favourite of many readers and book bloggers and she follows it with Christmas romantic comedy novel, Single by Christmas, with plans to publish a book series in the very near future. I was so chuffed by your review, Michelle. Thank you so much for being on the tour and for the fabulous support!